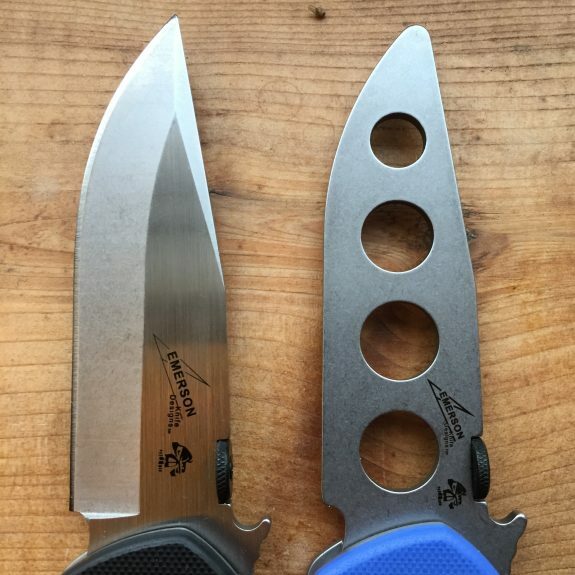 The line of collaboration knives by Emerson Knives and Kershaw is extensive and affordable. However, not all of them are bargains (see our CQC-4K review). The CQC-6K is the subject of today’s installment of Bargain or Just Cheap? and it has something impressive that no other folder in this category has. So what does the CQC-6K have that no other knife in this category has? It has the E-Train – a fully functional training drone version of the CQC-6K. That is a huge value added over other knives if you are interested in training but still operating on a budget. 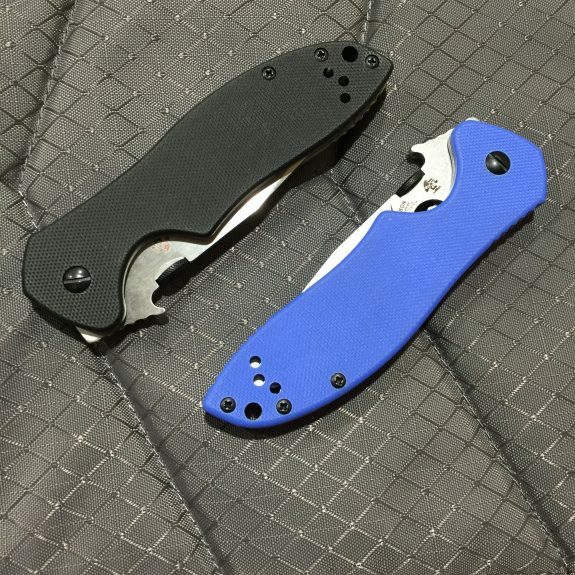 Kershaw and Emerson should get major props for creating a budget-minded live blade and drone combo. Even if you aren’t interested in the CQC-6K, you may want to pick up an E-Train to add to your training tools. The CQC-6K has a lot going for it on its own. It has the Emerson Wave Opening Feature which is a hooked protrusion that can made to catch the edge of your pocket (or other materials), deploying the knife blade as you remove it from your pocket. Once you get used to the Wave Opener, it is hard to live without. The knife also has a useful clipped point blade shape with plenty of belly and straight edge for a variety of cuts. The knife has a roughly half-height, hollow primary ground and a clipped point. 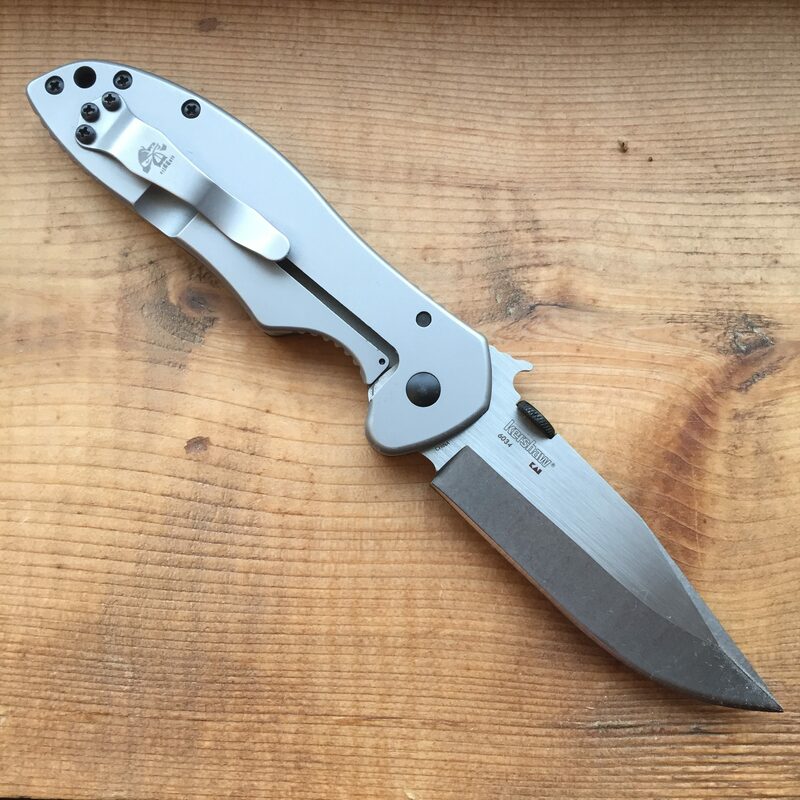 It is relatively thick for a folder at .11″ thick but the hollow grind does a good enough job of thinning the edge that it cuts well. Overall, the blade shape and profile are very useful for a variety of tasks. The ergonomics are very good. The knife is comfortable in all 4 grips – tip up and down, edge in and out. The G-10 scale offers excellent traction and the deep finger choil serves to lock the hand in place. It feels good in the hand and has a handle heavy balance. The lock-up the CQC-6K and E-Train that I purchased are both quite good. They lock up early on the lock bar so they should have room to wear in over time. The detent on my CQC-6K is a little light but adequate but the E-Train has an excellent detent. The CQC-6K does a few things better than the not-so-positively reviewed CQC-4K. First, it has a higher primary grind which improves cutting performance and the ergos are spot on. It is a better knife in every way. I can’t stress how cool it is to see an affordable knife offered with an affordable and readily available training drone. I don’t know of another knife in this price category that offers a drone. It is especially impressive when you consider that both the CQC-6K and E-Train can be purchased for less than $50 total. When you consider things like a useful blade shape, G-10 scale, Emerson Wave Opener, and the availability of a training drone, you have to conclude that this knife is a BARGAIN.